Synopsis: The strongest biological weapon made of the Great Demon King’s genes, Iris. She was given a mission of eradicating the human race and unleashed on their lands. However, the Great Demon King didn’t know. They didn’t know that Iris had a disposition of a shut-in. Ignoring her mission of destroying the humans, she shut herself in an abandoned church in the middle of the wilderness and lived a life of eating and sleeping. However, the tremendous magical power emitted from Iris transformed the wilderness into fertile lands causing humans to gather in this place. Like that, humans began to revere her as the Goddess. 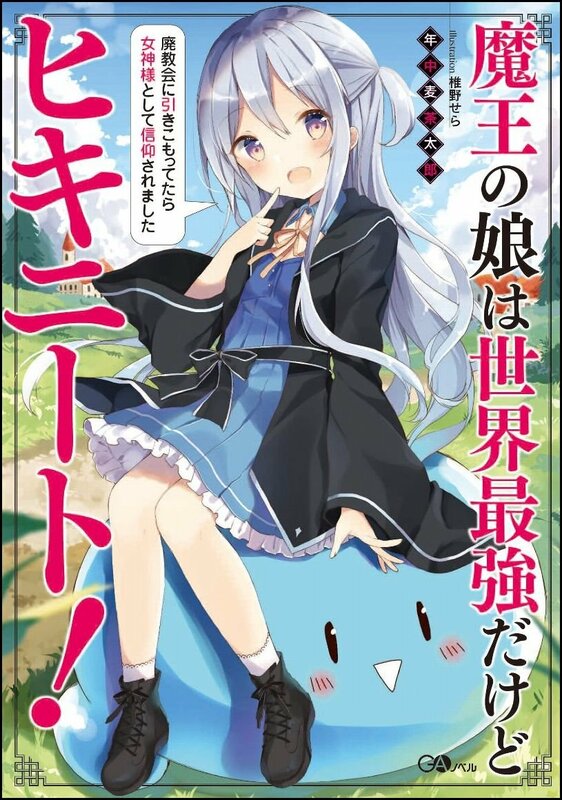 Can Iris continue to maintain her NEET lifestyle any longer!? My Thoughts: I'm already liking the sound of the Series honestly just by the title and description alone! I've never read anything pertaining to this series so I can't say much there but it does sound like the type of series that will grow on me! Sounds fun from the idea. I haven't read it, but I doubt it would be a nice and peaceful slice-of-life style novel (would have been amusing). Just to make sure, Iris is the protagonist and POV character, yes? It's not told from some lame dudes POV, no? Seems like an interesting premise and fluffy. So you got my vote. Iirc, this is actually complete at two volumes. I'll try to look it up to confirm though (there's a lot of slime series). Curious how much they were able to do with two volumes.